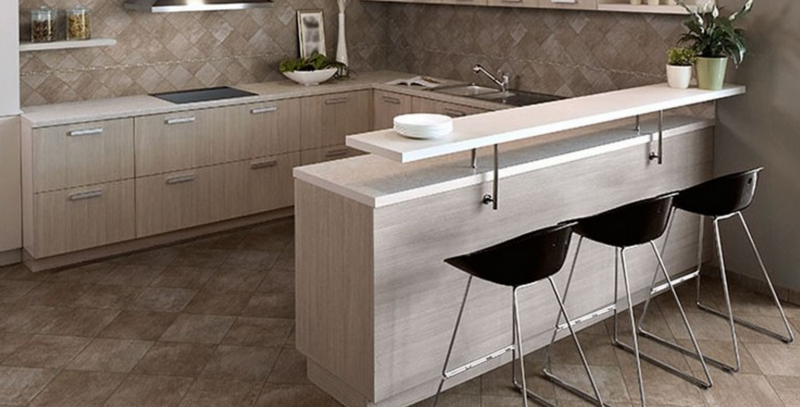 Florida Tile has provided a wonderful resource for the best ways to care for your tile. These amazing tips are applicable to tile from other manufacturers as well! The most frequent method of cleaning your tile is to wipe the surface with a damp cloth, or mop, depending on the height of your tile. Do you need a slightly deeper clean? Try using a non-polluting, neutral pH product that is non-hazardous and has a low level of VOCs (volatile organic compounds). What about glazed wall tiles? Once again, use a damp cloth (or a mop for hard-to-reach spots). For tougher clean-ups, use a neutral pH cleaner. Abrasive cleaners can scratch the glazed surface. Floors with glazed (or unglazed) tile should be swept or vacuumed on a regular basis to remove materials (like sand) that could scratch the surface. Only after the floors are clear of debris should you mop the surface with water or a neutral pH cleaner. Use the same method on unglazed tile. Bathrooms can come into contact with many tough-to-clean substances such as body oils, soap scum, hard water stains and a variety of spilled containers. Bathroom tile can be cleaned in the same way (with a neutral pH cleaner and a sponge or mop), however, let the cleaner sit on the surface for several minutes before rinsing. You can also consider using a cleaner that is specifically designed for bathroom tile. You may run into situations where the above steps are not quite enough. For these times, turn to an alkaline based cleaner and a nylon scrub pad (non-scratching). Ensure that all loose material has been swept or vacuumed off of the surface before applying the cleaner. Rinse the surface with clean water afterwards. A poultice can be used for stubborn situations. For wet areas (such as showers, tub surrounds, etc. ), use a lightly acidic cleaner to remove hard water stains. For more information about using specific cleaners, check our Learning Center on our website under maintenance, Florida Tile’s website, or you can contact Conestoga Tile with questions. Feel free to stop by one of our locations as well, and our showroom consultants will be happy to assist you.